The case of a blogger is exaggerated and used against Azerbaijan, the Chairman of the State Committee for Work with Religious Organizations of the Republic of Azerbaijan, Deputy Executive Secretary of the ruling New Azerbaijan Party Mubariz Gurbanli said commenting on the artificially created problem around blogger Mehman Huseynov, Trend reports on Jan. 20. Gurbanli, referring to the latest resolution of the European Parliament, noted that out of 751 members only 30 took part in the discussions. "And when you watch the speeches, you see that these people cannot read even what they have written. Probably, the text was given to them 10 minutes before their speech. These people are not aware of the issue, which once again shows that all this is rigged. This does not affect Azerbaijan. Because Azerbaijan has no obligations before the European Parliament. We are not a member of the European Parliament," he said. 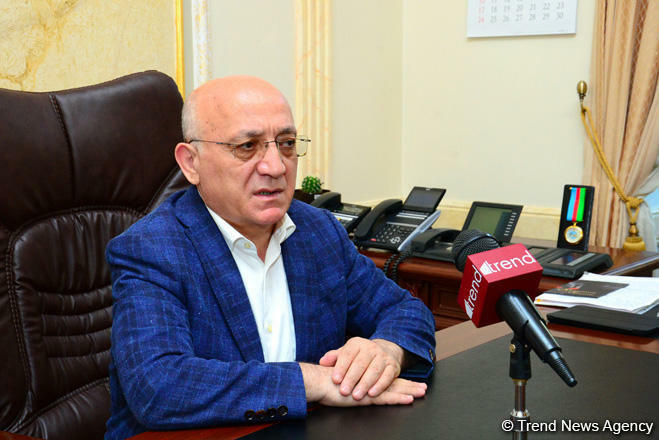 He added that in general, the European Parliament has adopted hundreds of resolutions, which are a manifestation of double standards not only in relation to Azerbaijan, but also to other countries. "If the European Parliament is looking for a problem, then the problem is in themselves. They should pay attention to ongoing events in European countries, where human rights are still violated," he added. Why EU Parliament indifferent to death of Armenian journalist?